These are worthy observations. The software company’s blog, indeed, goes far beyond product promotional messages. It tackles challenging industry issues, including one that is universal to all markets — the challenge of achieving reliable and prompt payment for invoices through the construction supply chain. 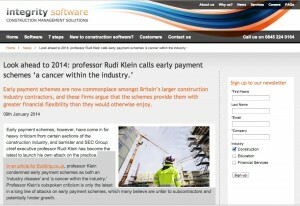 In an article for Building.co.uk, professor Klein condemned early payment schemes as both an ‘industry disease’ and ‘a cancer within the industry.’ Professor Klein’s outspoken criticism is only the latest in a long line of attacks on early payment schemes, which many believe are unfair to subcontractors and potentially hinder growth. 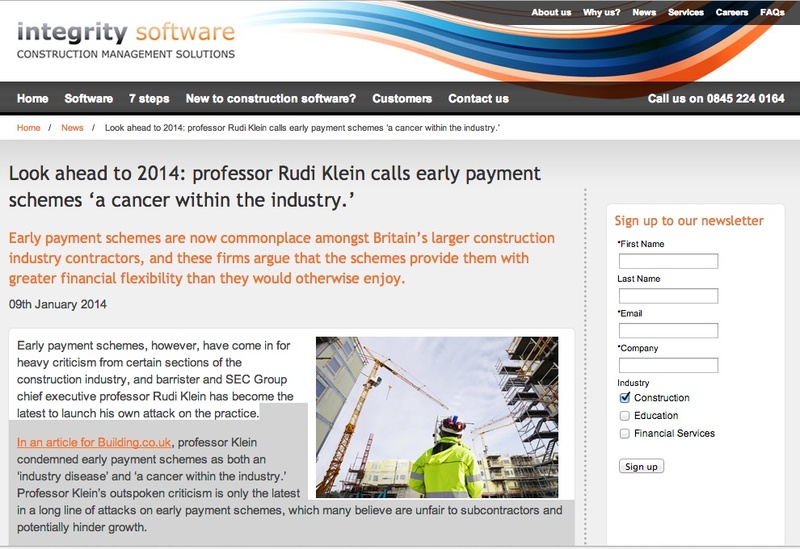 In the words of a review into early payment schemes by the Scottish government, ‘a scheme which requires subcontractors to pay a financing fee to access funds they should be receiving anyway is fundamentally fair.’ Many others share these sentiments, while Professor Klein argues that early payment schemes actually help to cement the culture of late payments within supply chain financing which has been part of the industry for years. However, 2014 promises to ring change for the construction industry. 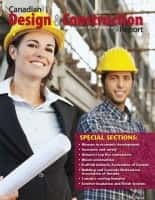 As noted by professor Klein, impending legislation and government measures will help to mandate and control 30-day payment periods, providing subcontractors and suppliers with an opportunity to recover from the threat of non-payment. Obviously, a blog that isn’t afraid to report on sensitive and challenging issues is worthy of your bookmark. 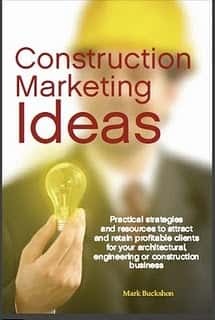 The content will be especially relevant to UK readers, but prompt payment issues — and legislative initiatives to solve the problem of slow payment within the industry — are certainly relevant as well in North America. Nominations for the 2014 Best Construction Blog close on Friday, January 31. You can submit your nomination here until then. Voting commences on February 1 and continues through March 31.